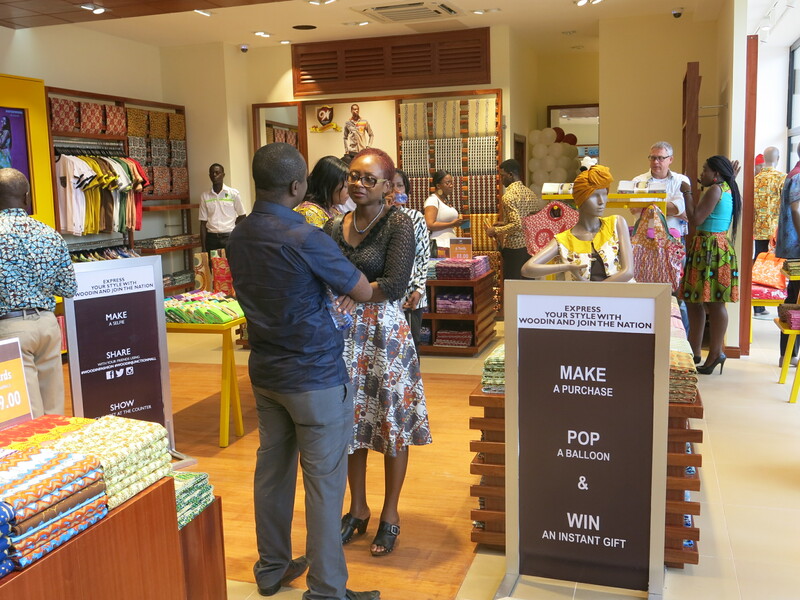 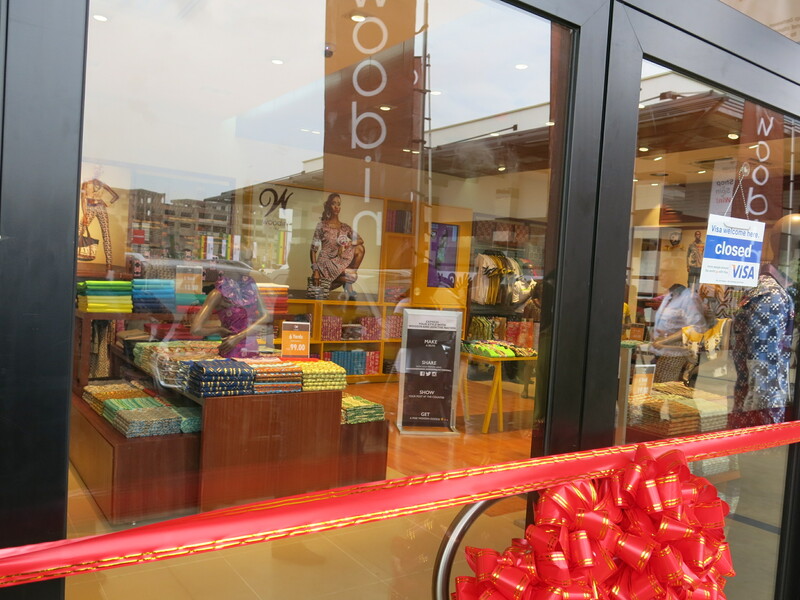 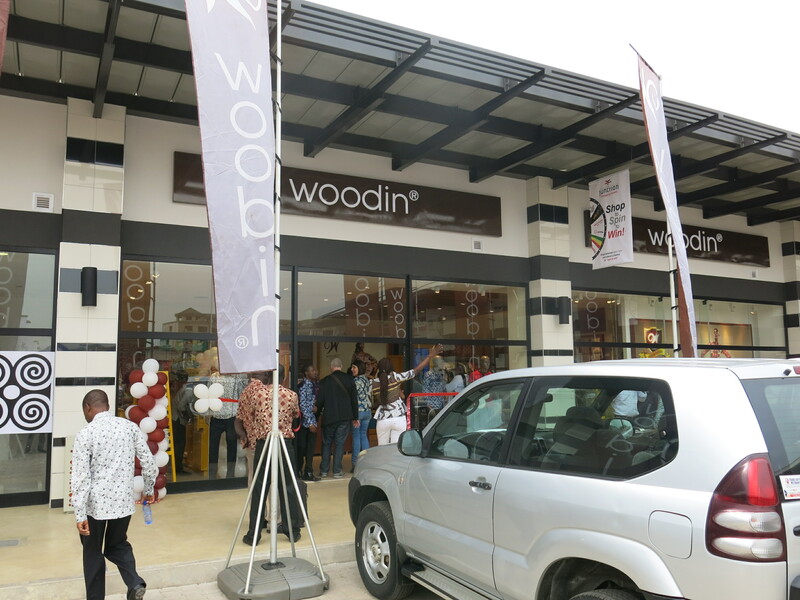 The morning of Thursday 27th November, marked the special unveiling of Woodin’s brand new shop at the newly commissioned Junction Mall in Nungua, Accra. 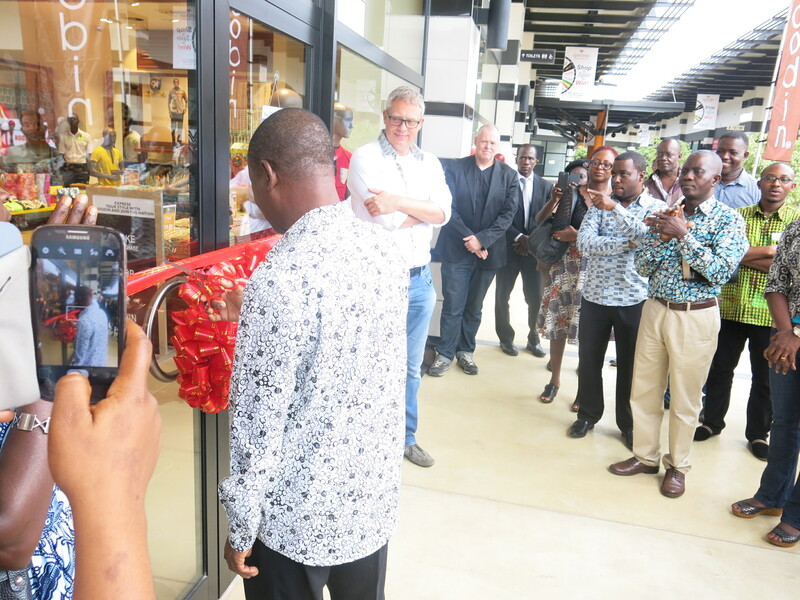 The event was slated to start at 9am and more than 80 people from all walks of life gathered eagerly in front of the shop to be a part of the beautiful celebration and in anticipation of the special day ahead. 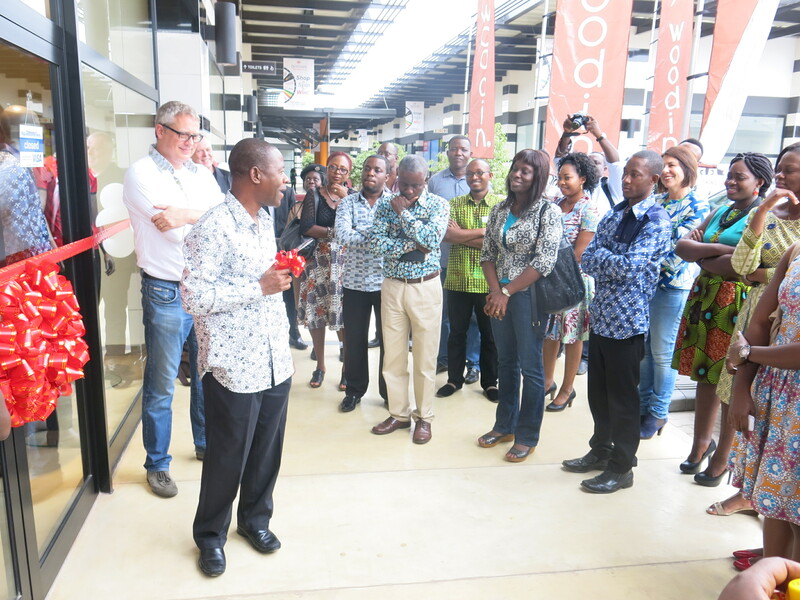 At exactly 9am, Reverend Stephen Badu, Marketing Director for GTP made a few remarks and said a solemn prayer to mark the beginning of the day’s activities. 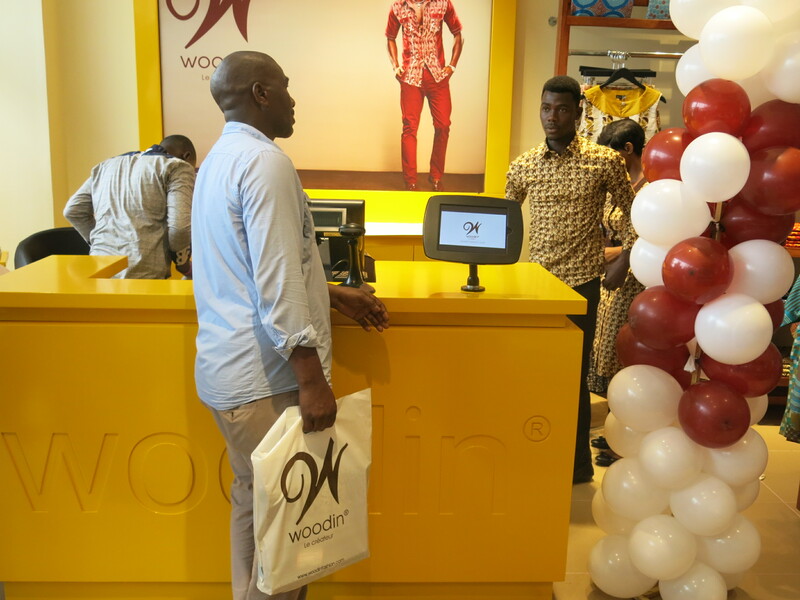 A few minutes later, Managing Director for Vlisco Group, Ghana, Mr. Kofi Boateng, clad in a crisp Woodin ready-to-wear shirt, cut the pink ribbon to mark the official opening of the Woodin’s 13th shop in the country. 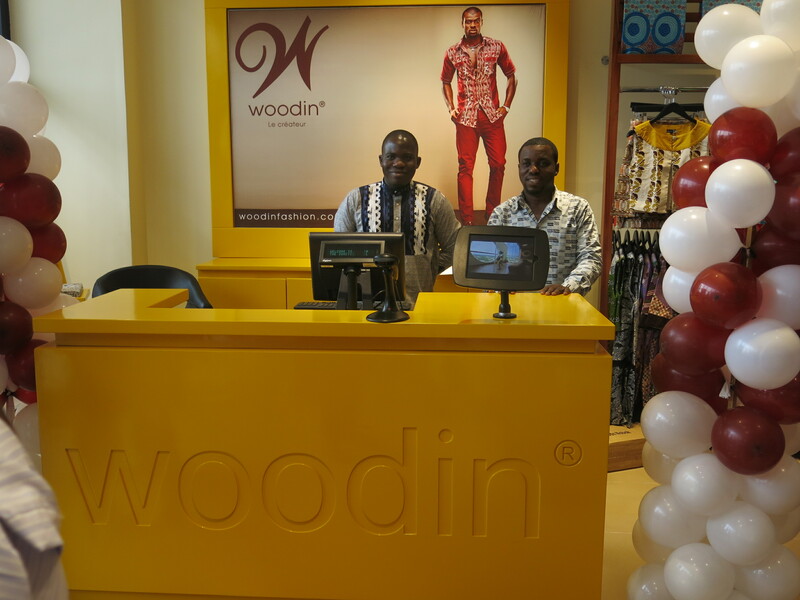 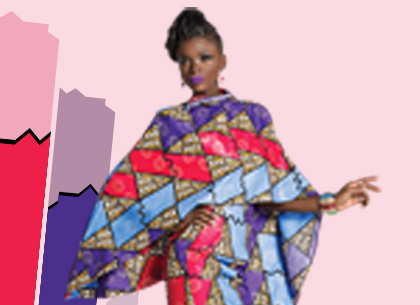 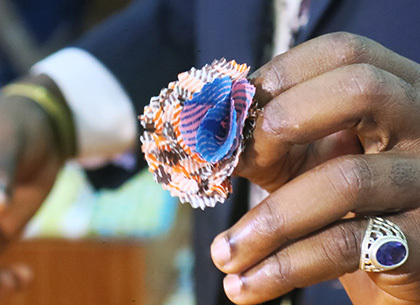 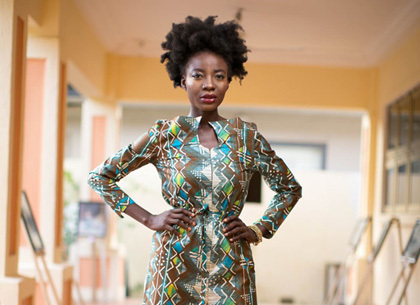 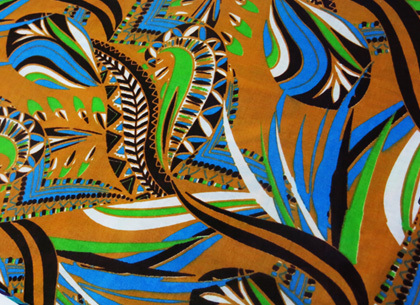 In the shop, guests made their way round the new shop selecting fabrics for purchase and trying on some of Woodin’s chic ready-to-wear clothes on display. 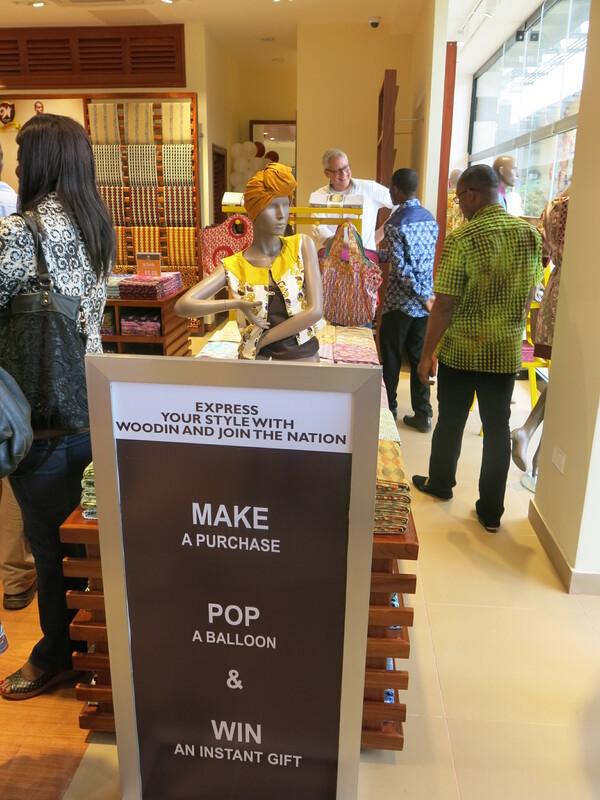 Modern lounge music selection filled the shop and added to the already busy and eclectic ambience. 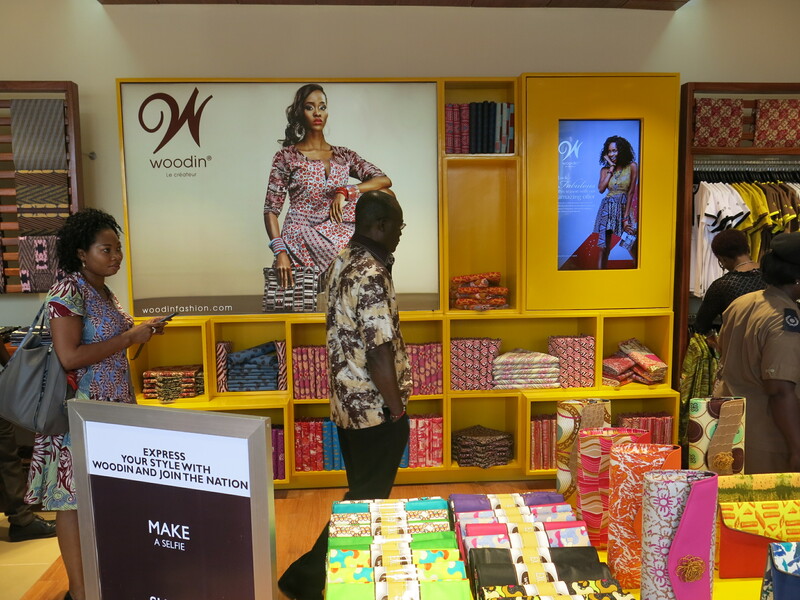 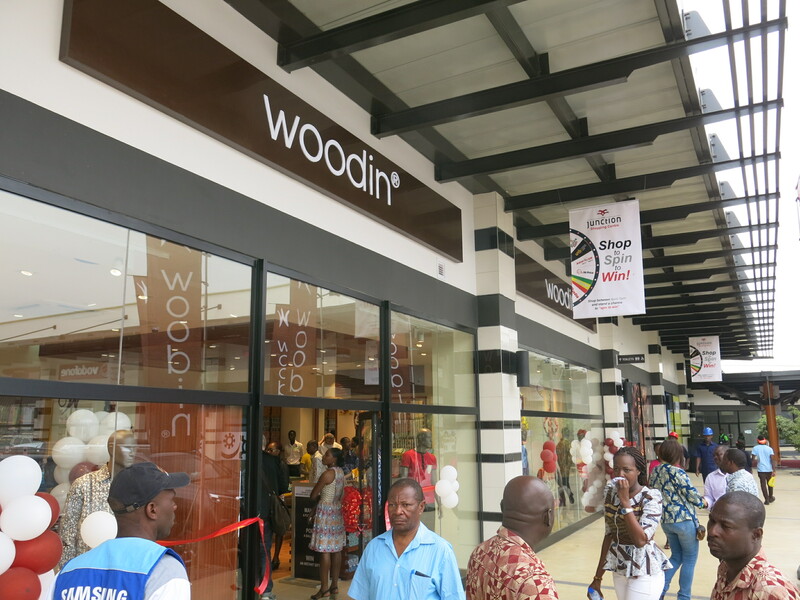 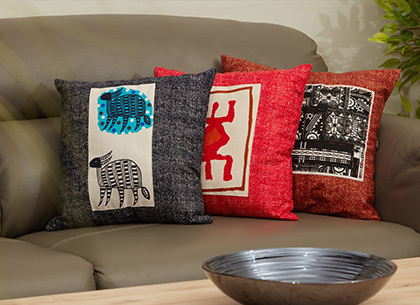 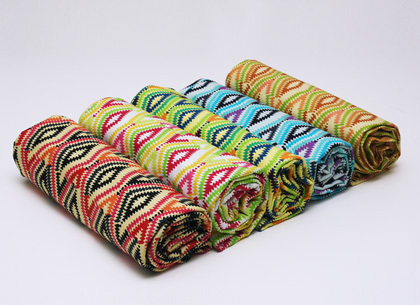 Shoppers who purchased fabrics and other Woodin products were given the opportunity to pop and win Woodin branded gifts instantly and there were prizes for everyone who took a selfie within the store and shared it on social media. 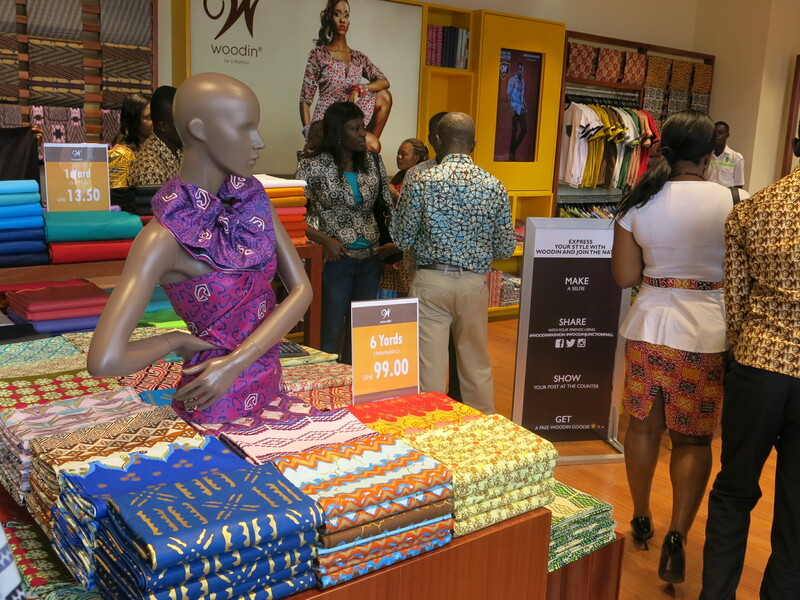 The event was covered by a few members of the press and some well-know bloggers. 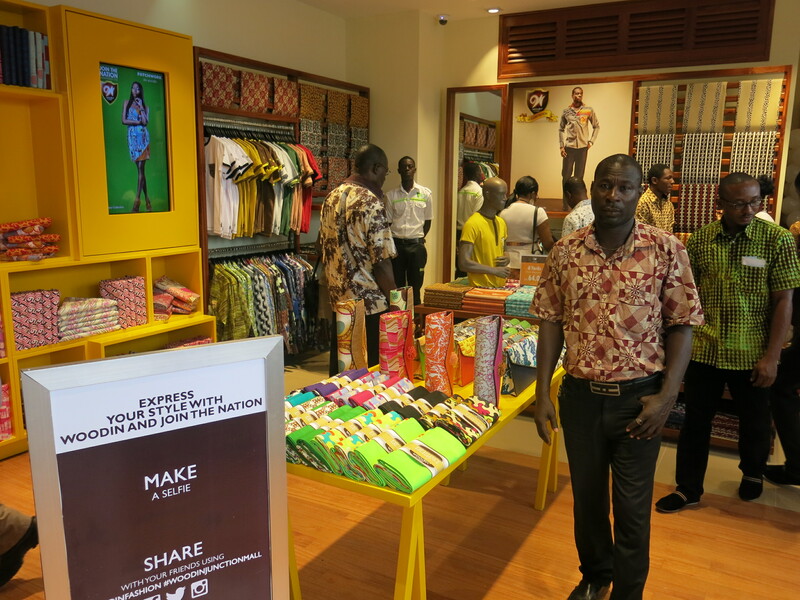 The Junction Mall shop is open Monday to Saturday from 9am to 8:30pm and on Sundays from 12noon to 7pm.